Want an Outdoor Kitchen, Fire Pit, Large Deck or Spacious Patio? New zoning changes allow these amenities to take up more space. Outdoor kitchens, fire pits, large decks and patios. As these outdoor features become more popular, many homeowners have unknowingly violated zoning rules that limit their size and scope. In response, the Board of Supervisors adopted zoning changes on June 5 that allow these amenities to take up more space in backyards. The action will especially help homeowners in planned district communities, like Kingstowne and Burke Centre, who typically have smaller yards. Before, it was difficult for owners of these smaller properties to install decks and patios because of the zoning limitations. The changes apply to the so called “minimum required rear yard” provisions. The new rules now allow accessory structures, like decks, patios, sheds and children’s playsets to cover a greater percentage of this area. Zoning regulations require that homes be set back a minimum distance from the property line, and they set a maximum percentage of this rear yard that can be covered with accessory structures. The limitation is to prevent visual clutter from affecting neighbors, and it helps to reduce stormwater runoff from hardscapes. Previously, accessory structures could only take up 30 percent of the minimum rear yard without the need for county approval. The new rules now allow these features to cover 50 percent of the minimum rear yard by right in planned zoning districts. For properties in these districts that are 5,000 square feet or less — about the size of a professional basketball court — these structures can cover 75 percent by right. However, the 30 percent coverage rule was not changed for houses in conventional residential zoning districts. But county officials adopted an easier process to seek approval for a greater coverage percentage. Now, homeowners can apply by special permit for up to 60 percent coverage instead of a more stringent variance. Special permits still require a public hearing before the Board of Zoning Appeals. Www.fairfaxcounty.gov/zoning-planning. When Fairfax County first wrote its zoning rules for restaurants 36 years ago, fast casual eateries like Noodles and Company or Panera didn’t exist. The changes are important because the outdated regulations created challenges for many restaurants that are a growing segment of the county’s retail economy. Fast casual restaurants have had sales growth that topped 12 and 13 percent nationwide in the last two years, according to Technomic, a research firm that tracks the restaurant industry. The update simplifies and clarifies the definitions for restaurants and where they can locate, making them more flexible and adaptable to any future changes in the industry. Until now, the county defined restaurants based on how they operate, using these characteristics to distinguish between traditional sit-down and fast food restaurants. 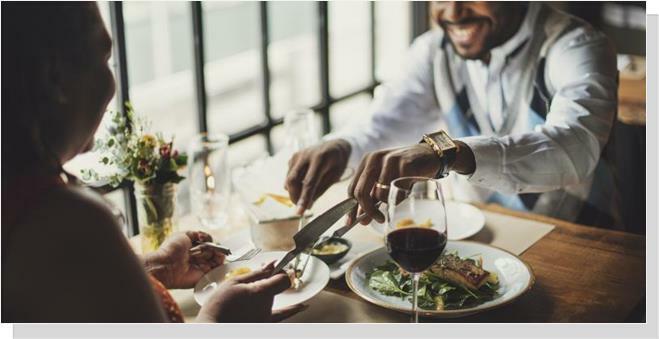 The classifications considered whether employees bring food is to a customer’s table, individual menus are given out or whether disposable plates and silverware are used. Fast casual restaurants have blurred these distinctions, and some traditional sit down restaurants and fast food restaurants are changing their models consistent with this trend. As a result, the county streamlined and simplified its zoning definitions into three categories: one for restaurants, one for restaurants with drive-through service and one for carryout restaurants. The zoning changes also removed some of the use limitations. For example, the previous rules restricted the size or number of restaurants allowed in a shopping center based on their square footage, percentage of the building or the number of other uses. These limitations presented an unnecessary obstacle to filling vacant retail space in shopping centers at a time when many other retailers are closing their brick-and-mortar stores. The new rules also ended the restrictions on where restaurants and carryouts could locate in office districts. The previous rules limited restaurants to office buildings with a minimum of 90,000 or 100,000 square feet depending on the zoning district. By removing this building size restriction, this could help smaller office buildings revitalize and offer existing tenants in those buildings new customer opportunities. The changes also allow for restaurants to add limited outdoor seating without requiring additional parking like some neighboring jurisdictions. Outdoor seating is important because it helps to contribute a location’s vibrancy, character and sense of place.